Inmates rampaging around with iron pipes busting cell doors and windows and lighting up boxes of toilet paper and plastic chairs. A fire that “got so big it touched the ceiling.” Choking smoke that shrouded Module B in a blinding haze. This is how an inmate who watched from his “front-row seat” in a cell overlooking the scene described the riot that caused millions of dollars in damage at Maui Community Correctional Center on March 11. The pretrial detainee described the riot in a letter to The Maui News. His description aligned with accounts from other inmates interviewed by The Maui News in person and by email. The Maui News is maintaining their anonymity to protect against retaliation and has checked to verify their identities and compared accounts. Before the riot, there already were tensions in the overcrowded MCCC that housed more than 400 inmates in a facility with a capacity for 301. One inmate described bumping into others while walking through common areas in Module B, which housed more than 90 inmates. Broken phones, no mail delivery and “mostly veggie meal portions” that were small were among the festering issues, the inmates said. The riot began following a conversation between inmates and guards over those issues. It escalated after a guard ordered the inmates, threateningly, to get back to their cells, inmates said. The inmates refused and went on a rampage. Then there was the smoke. “To make it worse, smoke started filling up in our cell, got so thick we could barely see each other,” said the inmate who wrote the letter. “We put our white shirts with water over our mouth and nose so we wouldn’t breathe in the smoke directly. The other upper-level inmate who was later released from the jail said he was having trouble breathing. He said the guards left the module after the fire started. A man using poles from the shower and from under the table banged on his cell door until it opened. He said the inmate initially wanted to kill him, but he convinced him that they needed to work together to get out. He broke a window to get air in. Some fire sprinklers worked but spewed brown water, he said. This inmate and others reported staying in their cells for the duration of the three-hour riot, “not wanting to be a part of it” and for fear of being injured by guards. After about three hours, the guards returned to the module holding shields and batons, said the inmate who was later released. He and other inmates said the guards were hitting and kicking inmates, some with their hands shackled in zip ties. Inmates were taken outside behind Module B after the riot ended after 6 p.m. and were held there until 2 a.m. the next day without food, said the inmate who was later released. There was a small fence separating inmates from Module B and Module A, which was affected by the smoke. Some jumped the fence and started fighting, he said. Inmates said they were returned to their cells with unusable toilets and sinks and broken shards on the ground. The Department of Public Safety has said inmates were put in full or partially operational cells because there were no other secure locations to house the inmates. The situation in the jail remained tense until Department of Public Safety officials began moving the instigators and major participants to Halawa Correctional Center on Oahu three days after the riot, inmates said. In all, 32 inmates have been relocated. 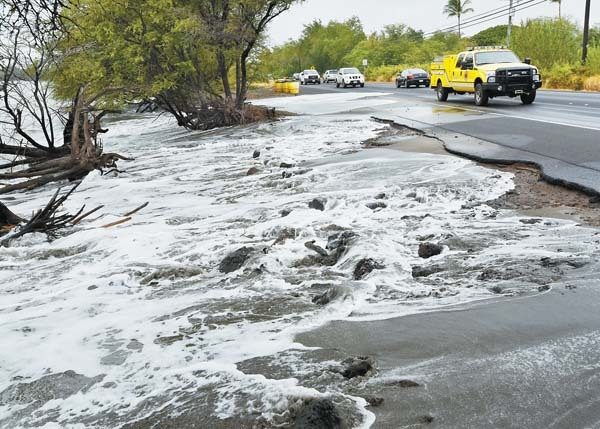 Department spokeswoman Toni Schwartz said Friday that the recovery process is ongoing daily. Wired security glass was installed in the control rooms of the two modules and a fire/smoke mitigation team recently began their cleanup. “Their work is ongoing, but most of the char, soot and burn marks on the walls from the small fire set by inmates in the initial disturbance has been removed and a fresh coat of paint applied,” she said. Cell windows facing the recreation field and glass windows in cell doors have been replaced, she said. 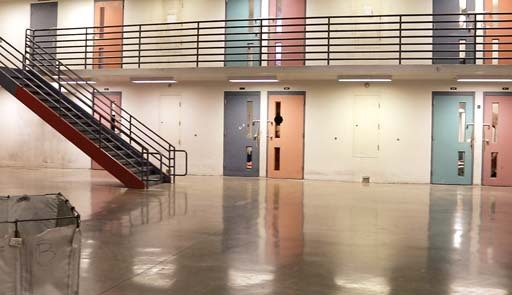 The jail continues to wait for replacement fixtures from the Mainland, including toilets and sinks for cells, tier showers and furniture for common areas of the module. The state Senate Ways and Means Committee has passed a bill to cover the $5.3 million in emergency jail repairs and another $8 million for next fiscal year, which begins July 1, for capital improvement projects for long-term security grade improvements at the jail, Schwartz said. A meeting was held at the beginning of the month to discuss the installation of new, security-grade storage room doors, which will have to be fabricated and shipped from the Mainland, Schwartz said. 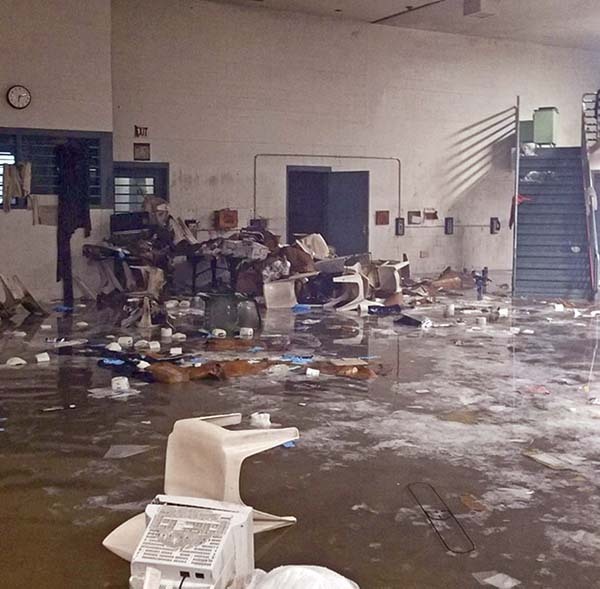 Inmates broke into a storage room and destroyed and burned toiletries and other items. The account by the department, which continues to refer to the incident as a “disturbance,” is that 42 inmates from Module B refused to leave a common area to return to their cells when recreational time was over at about 3 p.m. March 11. Inmates broke fire sprinklers and started a small fire in the common area, with smoke drifting to the adjacent Module A, where inmates started a lesser disturbance. The situation was declared contained around 6:30 p.m. later that day. Two inmate injuries initially were reported. 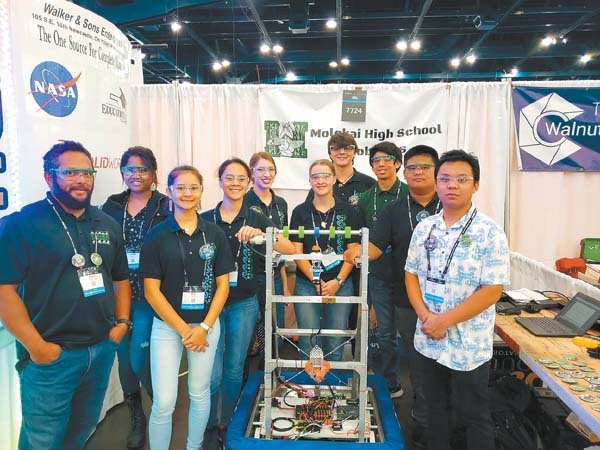 MCCC staff members in a letter to The Maui News said they were assaulted by inmates, who attempted to burn them alive in their control boxes. Maui police continue their criminal investigation. The Department of Public Safety continues its internal investigation. 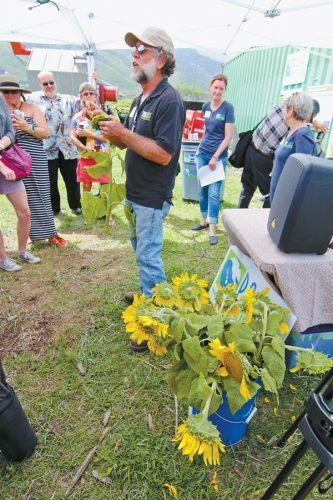 * Managing Editor Lee Imada contributed to this report. Melissa Tanji can be reached at mtanji@mauinews.com.